Amazon.com (AMZN) is planning to open dozens of grocery stores in several major U.S. cities, Esther Fung and Heather Haddon of Wall Street Journal reports, citing people familiar with the matter. The chain of stores would be distinct from Amazon's Whole Foods unit, the Journal adds. The company plans to open its first grocery store in Los Angeles as early as the end of the year, a source told the paper, who added that Amazon has already signed leases for at least two other grocery locations with openings planned for early next year. Further, the source indicated that Amazon is exploring an acquisition strategy to widen the new supermarket brand by purchasing regional grocery chains. Shares of Amazon are up 1%, or $19.67, to $1,659.50 in midday trading. Following the Journal's report, Kroger (KR) is down 3% to $28.31 and Sprouts Farmers Market (SFM) is down 1% to $23.02. BJ's Wholesale (BJ), Costco (COST), Target (TGT) and Walmart (WMT) also moved lower following the story. Amazon is working on at least three grocery store formats. 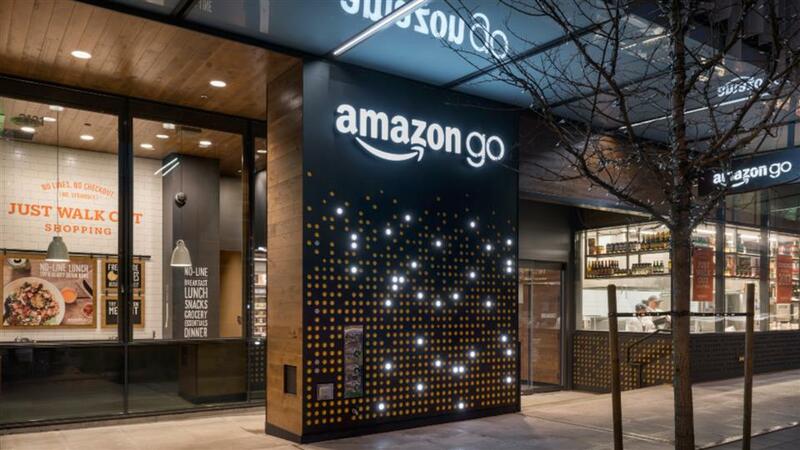 Amazon unveiled its first small-format grocery store, Amazon Go, in early December 2016. It’s one of at least three formats of brick-and-mortar food stores the online retail giant is exploring. Amazon.com Inc. is planning to open dozens of grocery stores in several major U.S. cities, according to people familiar with the matter, as the retail giant looks to broaden its reach in the food business and touch more aspects of consumers’ lives. Esther Fung and Heather Haddon of the Wall Street Journal have a reputation for accurate reporting. Hard to believe that Amazon is considering moving into one of the most competitive and low margin businesses in North America. Unless they acquire the real estate properties they hope to occupy, hard to believe that this will be a good investment. On the other hand, in major markets, major players can dictate the lease rates they wish to pay. Owning real estate does not make sense. The master is Wal-Mart. Some of the leaked lease rates paid in Florida, California, Toronto (Canada) are so low, institutional landlords need to give away their space. No increases in rates for 15 years is common. At the moment, lots of real-estate with few triple-A tenants.